The Anne Frank Huis (House) is a museum in Amsterdam dedicated to the story of Anne Frank, located in the place where Anna and his family were in hiding trying to escape the Nazi persecution of the Dutch Jews. It is one of the most visited museums in The Netherlands, with over a million visitors per year. The museum is housed in the typical Dutch canal-side house where the “secret annex”, the hiding place of eight persons, was for two years during the World War Two. Unfortunately, the concealed refuge did not succeed and only one of its inhabitants, the father of Anna, survived after the deportation to concentration camps. Nevertheless, the diary that Anne Frank wrote during the hiding period was retrieved after the war, eventually becoming a world-renowned remembrance of the Nazi brutality as well as of Anna’s personal story. 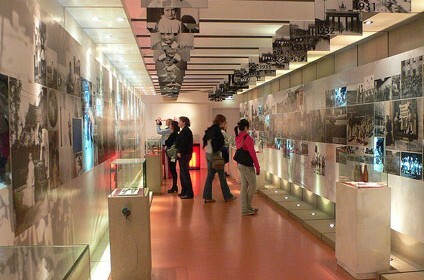 The place was saved from demolition and transformed in a memorial, a youth center and a museum in 1960. 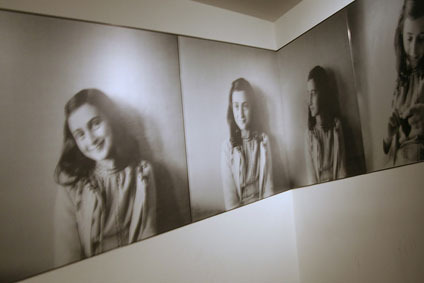 The center, due to its increasing popularity, was then renovated and expanded and now includes the Frank family’s house, the Anne Frank foundation offices, and the museum. The museum houses the original writings and drawings by Anne Frank along with exhibition material focused on human rights and freedom and against violence, war, racism, oppression, and discrimination. The permanent exhibition is composed of original documents, graphics, scale models, photos and, after the 1999 renovation, also of multimedia and interactive exhibits. A fundamental element of the exhibition itinerary is obviously the visit to the hiding place of Anne and her companions. The Anne Frank Foundation also organizes temporary exhibitions, family programs, educational activities, and guided tours. 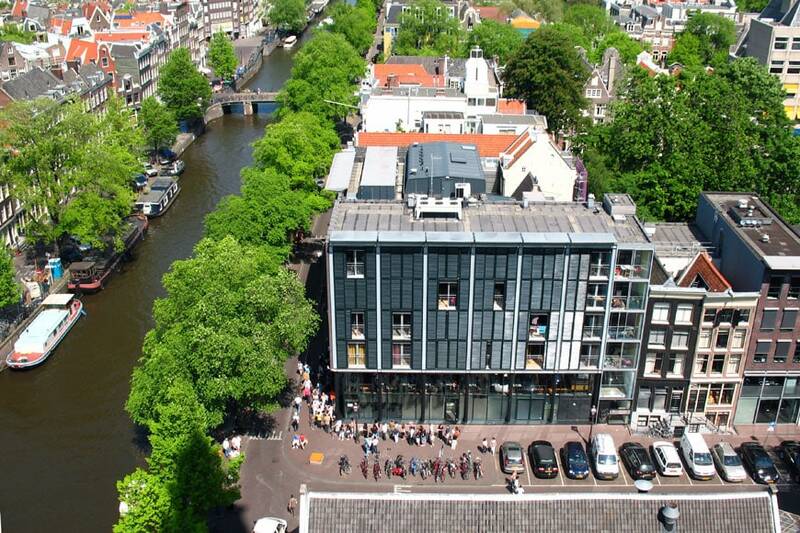 The new museum wing is fully accessible to people with disabilities while the old house and the secret annex are not, due to the typical canal-side house morphology. 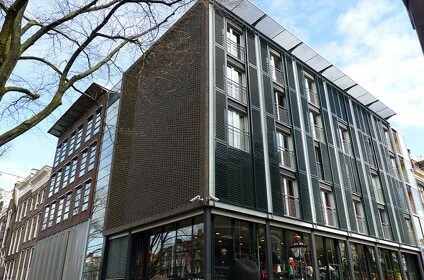 The Anne Frank House also accommodates a bookshop and a cafe.